You are probably aware that if you’re injured you can seek damages if somebody else caused the accident, but do you know how to make a successful personal injury claim? You may be considering making your own compensation claim but wondering where to start and what information you’ll need. This guide will answer all of the questions you may have and many more besides which we hope you’ll find useful. If you want to discuss your claim with Advice.co.uk straight away, then you can call us on 0161 696 9685 and speak with one our claims advisers. But, if you want to know more first, please carry on reading this useful guide. What Types Of Damages Can Personal Injury Claims Compensate You For? How Can Solicitors Help Victims Of Accidents? What Evidence Do I Need To Start A Compensation Claim? 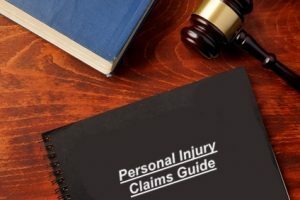 What Is The Process Of Starting A Personal Injury Claim? Am I Likely To Make A Successful Claim With This Evidence? What Can You Do To Have A Better Chance Of Making A Successful Claim? What Happens If Your Claim Goes To Court? Most people in the UK have heard the adverts about personal injury solicitors offering no win no fee agreements to take on your injury claim but are put off because they’re worried about costs and the chances of losing the case. Advice.co.uk are personal injury specialists who offer free legal advice to anybody considering making a claim as we believe it’s important you receive the correct advice before deciding on what to do next. In this guide we’ll cover what evidence you need to make a claim, potential compensation amounts, what happens if the claim goes to court, claim time limits and how no win no fee agreements really work. A personal injury claim is when you ask another person, company or organisation for compensation because they caused an accident in which you were injured. This is usually done with a personal injury solicitor on your side because they understand the current litigation to support your claim. And finally, because of the breach, you suffered an injury or injuries. If you believe your claim meets all of the above criteria, then you should be able to make a claim. Call our team and they will assess your claim to determine if it’s likely to succeed or not, for free. A substantial part of any compensation claim is what’s known as “General Damages” which we’ll cover in more detail later on, but essentially, it’s compensation for pain and suffering caused. It’s important to remember that general damages are only one part of a claim so the table below outlines some general damages amounts, but it is important to remember that it is not a conclusive estimate of how much compensation you may receive in a successful personal injury claim. Injury to which party of body? Hand Moderate to Severe £4,640 - £10,580 Crush type injuries, with restricted use of the hand because of the injuries will be at the higher end of this range. As you’ll notice, each injury type has a compensation range. This is usually from minor to severe and your solicitor will need to support your claim with medical evidence to ensure your injury is placed in the right part of the range. We cover the other elements of a claim in the next section. As discussed, this is the part of compensation that is awarded for the pain and suffering the injuries caused you. They are pre-defined in legal documents, so your solicitor needs to prove how severe your injuries were, with medical evidence, so that you receive the correct amount of compensation. You may have had to alter your travel arrangements while you were recovering, or permanently depending on the severity of your injuries, so you can claim any additional travel costs. You can include traveling to and from medical appointments. If any item of personal property was damaged in your accident, then you can claim back the cost of repair or replacing the item. When you’re recovering, if you require any help to complete tasks you’d normally undertake, and there are financial costs associated with the care, you may be able to add these to the claim. As you recover from your injuries you may require recuperation time off from work or time off to attend medical appointments. If this is the case, you can claim for any earnings you’ve lost. Your solicitor will claim for any losses you’ve incurred but also, they’ll work out any financial losses you might incur going forwards. For example, if you are likely to need to attend more medical treatment in the future then they can include the future lost earnings in the claim. This is the kind of knowledge that an experienced personal injury specialist will have and will ensure you get the correct compensation amount. Some people query what a personal injury solicitor can do or wonder if they can make a personal injury claim themselves. The main benefits of using a solicitor rather than going at it alone are that they are experienced in making claims, understand the legislation, can provide you with an estimate of what compensation you may get as well as, importantly, helping you to understand if your case is viable or not. It’s important to use this expertise, otherwise you could spend a lot of time an effort when you really had no chance of success at all. Photograph the scene of the accident, before anything is moved (such as vehicles, trip hazards, faulty machinery etc). Include as much detail as possible. Write down the details yourself while everything is still fresh in your mind. In a road traffic accident, get the insurance details of the other driver and if any witnesses cars (or your own) have dashcams fitted, try to obtain a copy. If you’re in a public place, or workplace, ensure your accident is placed in an accident report book (and ask for a copy). If the police attend the scene of the accident, ask for the officers’ details. All of these steps can provide evidence and increase the chance of successfully winning a compensation payment. Ensure you see a doctor, either a local GP or at a hospital, as soon as possible, even if you don’t feel any immediate symptoms, because adrenaline and trauma can hide any pain. Details of the accident including where it happened, the cause and the date & time. The details of injuries you sustained, the doctor that assessed you and how they treated you. The contact details of witnesses who can confirm what happened. Details of any legal expense insurance policy that you may have. The right way to start a personal injury claim is to call a company like Advice.co.uk, tell us all of the details of your accident, the cause, your injuries and why you think somebody else was to blame. We’ll offer an initial consultation, offer free legal advice on what else you need to do or what your next steps should be, and, if we’re happy that your case is valid, connect you with a personal injury solicitor. It’s that easy to begin and you can call upon our specialist expertise in dealing with personal injury claims. The client doesn’t want to proceed with a lengthy claim, only to find out a key piece of evidence was missing right from the start. Therefore, the solicitor will listen to the details of your claim and use your statement and evidence to determine if your case has any chance of succeeding or not. They’ll also take details of the injuries you suffered, how they were caused and how they’ve impacted on you so that they can assess the amount of compensation you could apply for. If you have all of the supporting evidence, we’ve outlined in this guide then you still could find it difficult to win compensation without the right support. The main reason for this is, even though companies such as employers, retailers or restaurants have insurance in place to deal with personal injury claims, they still defend them strongly to prevent making a payment, or to reduce the amount of compensation paid. This is understandable, but not fair on you if you genuinely have a claim against them, so using a personal injury specialist to support your claim is vital as they can provide strong evidence (sometimes using medical expert analysis) to counter any negative arguments provided by the third party’s solicitor or own legal team. When you engage with Advice.co.uk, you are able to call upon specially trained personal injury specialists who know exactly what is required to make a successful claim (and also what’s not needed). The personal injury solicitors that we use know how and when to use medical experts as well as expert witnesses to support claims where necessary. A key point to our service is that, we only use no win no fee solicitors (more to follow on this) which means you’re not risking ending up with a large legal bill while making use of personal injury and legal experts. The personal injury solicitor we could connect you with will know how to build a concise and professional claim and be able to deal with any objections that the defendant’s solicitor raises. This is key, as they will usually try to counter and without a specialist injury solicitor on your side, their arguments can use legal jargon that appears to make their argument compelling. While it’s rare for personal injury claims to end up in court, if the defendant continues to deny liability for your injuries or if both parties don’t agree on a compensation amount, then court proceedings can be initiated. Using our service, the solicitor we use will represent you in court (still under the no win no fee agreement) to state your case to a judge. The defendant’s solicitor will do the same from their side. The judge may require reports to be supplied but once they’ve heard enough information, they will either find in favour of the defendant or the claimant. If compensation is awarded, then it will be sent to your solicitor before being sent on to you (less the solicitors fees – see below). If no compensation is awarded, then under no win no fee agreements, you won’t have to pay your solicitor for their service. Tell the truth at all times during the claim. Don’t exaggerate about injuries, financial losses and certainly don’t lie about the cause of the accident. You could face criminal charges for a false claim. Ensure you lodge your claim within the allowed time limits (see the next section for details). Failure to do so will usually result in the loss of your right to claim compensation. To help with a successful personal injury claim, try to provide evidence of proof of any lost earnings (such as pay slips, timesheets, doctors appointments etc) so that your solicitor can use these as evidence. All personal injury claims in the UK are subject to strict time limits. 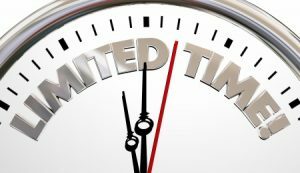 If you fail to make a claim within these time limits, the defendant’s solicitors will reject the claim as would any court. It is therefore recommended that you contact us at Advice.co.uk as soon as you can following an accident. This will give us, and a solicitor, enough time to gather supporting evidence with which to build your claim. The process of claiming compensation usually starts by calling a claims specialist like Advice.co.uk to get the ball rolling. Once they’ve assessed your claim and agreed to take it on, a solicitor will build the case and ask the defendant for an amount of compensation. The solicitor will then try to deal with any objections or counter offers and hopefully agree to a compensation amount that fully compensates you for your injuries and losses. If a successful personal injury claim isn’t settled, then the personal injury lawyer may recommend that the case is taken to court. The main thing here is, that if you want to make a claim, that you should contact Advice.co.uk as soon as possible following your decision to claim. We’ve talked about no win no fee claims a lot during this guide, as Advice.co.uk works only with solicitors who offer this service. But what are the options when making a claim? Option 2: Pay a solicitor an hourly rate for their service. You keep 100% of any compensation awarded but you have to pay the solicitor for their service (sometimes upfront) if they win or lose. We think option one is the most risk-free and stress-free way of making a claim as you never have to send a payment to the solicitor, win or lose, and with option two, you could end up with a large legal bill and no compensation. Advice.co.uk have a friendly team of personal injury specialists waiting to help you with your claim. Not only can they offer free legal advice while you decide what to do, they are committed to ensuring you get the compensation your injuries deserve. If you decide to contact us, we’ll follow the following process to deal with your claim. Email: Send us details of your claim to claims@advice.co.uk and we can call you back at a more convenient time to discuss how to proceed. Once you get in touch, we’ll assess your claim in a free consultation, give you an estimate of compensation you may be eligible for and, importantly, advise on the chances that you’ll successfully win your case. Personal Injury Claims – Don’t just take our word for it, here’s another guide about making a successful personal injury claim by Citizens Advice. Broken Bones Guide – This is a really useful reference article, by the NHS, if you’ve broken a bone – including causes, symptoms and treatments. Health and Safety at Work Act 1974 – If you’re considering making a claim against your employer, then this may be the legislation that we could use to support your claim.